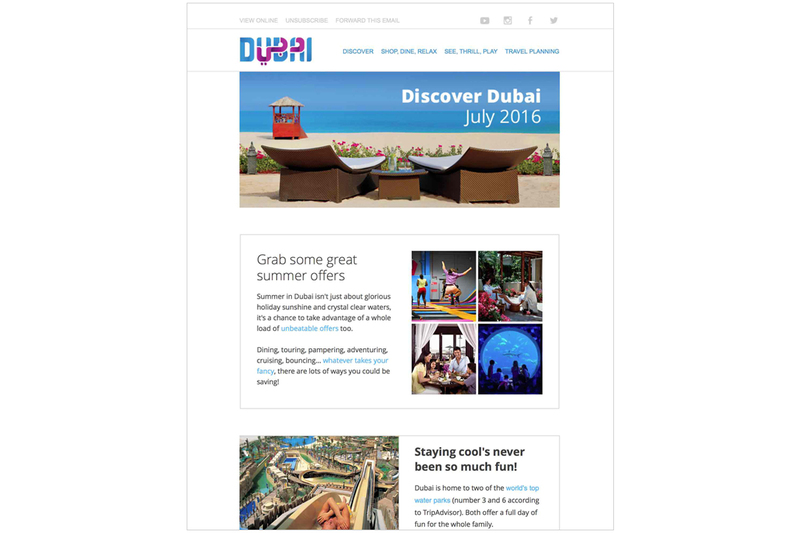 Email marketing to segmented UK travel trade, Irish travel trade, UK consumer and UK commerce audiences. Responsible for: copywriting, picture editing, email content population, broadcast and reporting. Copywriting, picture editing, content population, broadcasting and reporting. 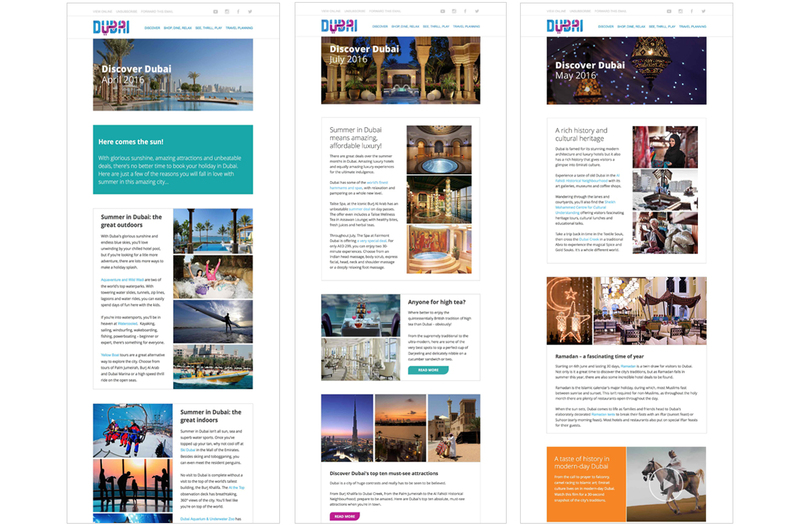 I worked on the Dubai Tourism and Commerce Marketing account for three consecutive years. Responsive e-newsletters were sent to four audiences, with up to 40 different broadcasts going out each year. From the client’s outline content plans, I was responsible for pulling together all copy and image content, as well as managing the broadcasting and reporting via Campaign Monitor. It was incredibly satisfying watching open and click-through rates steadily increasing, as bounce rates and spam complaints were dramatically reduced.